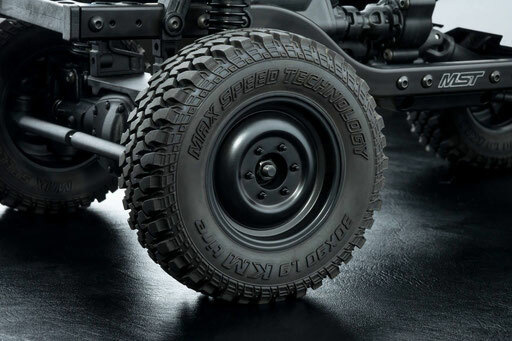 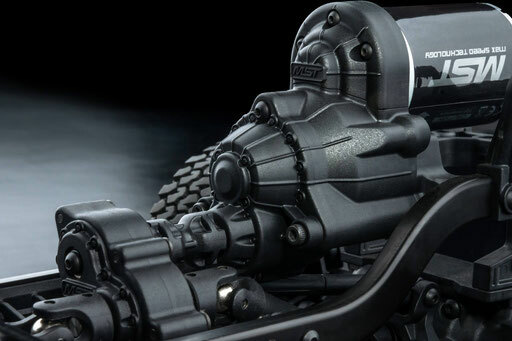 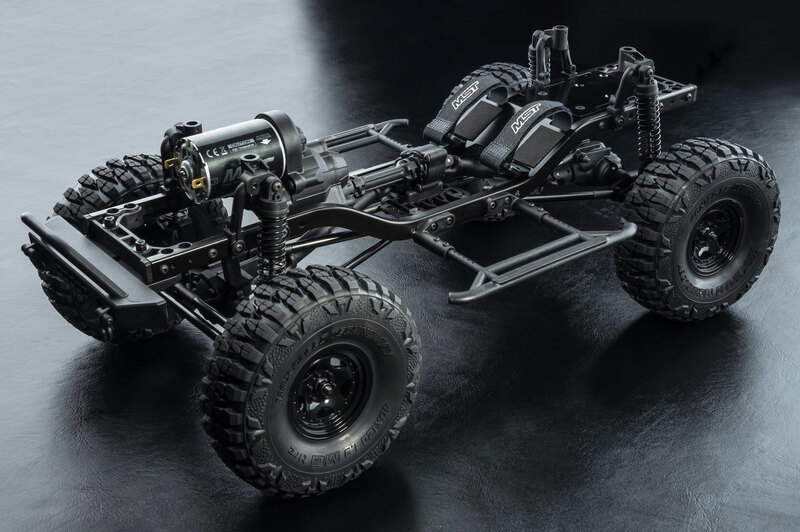 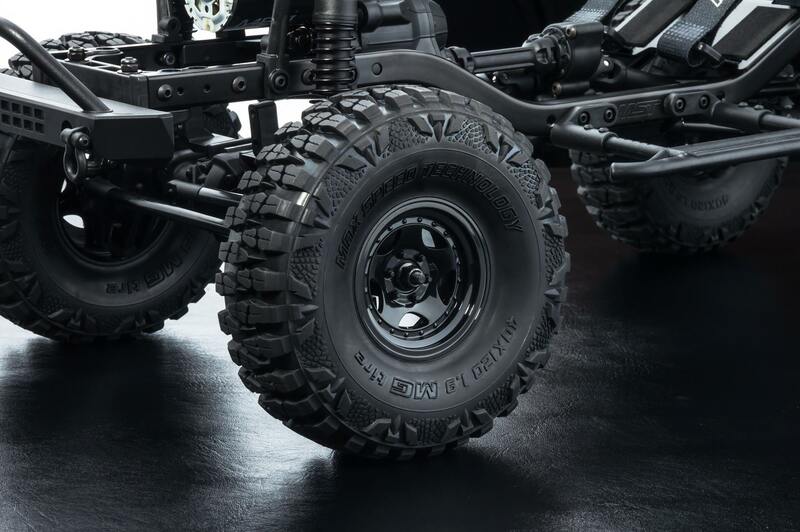 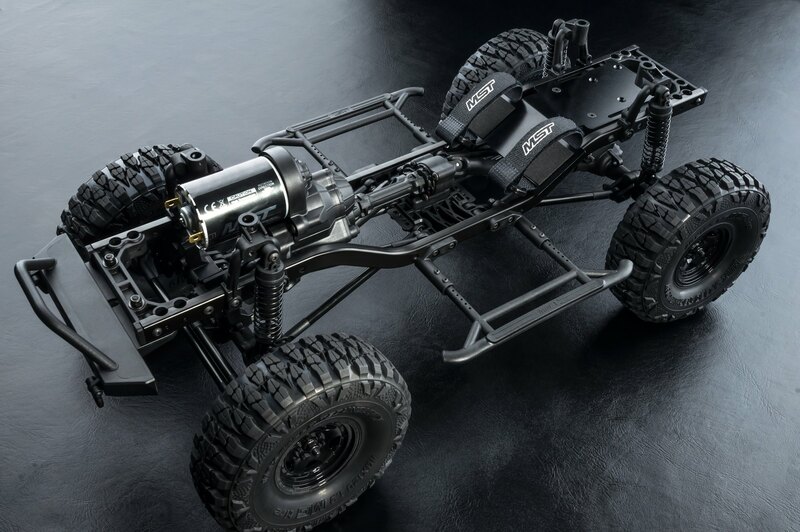 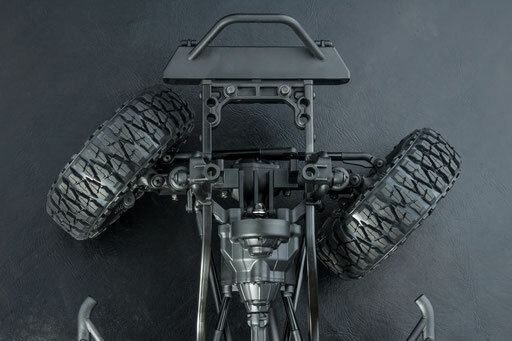 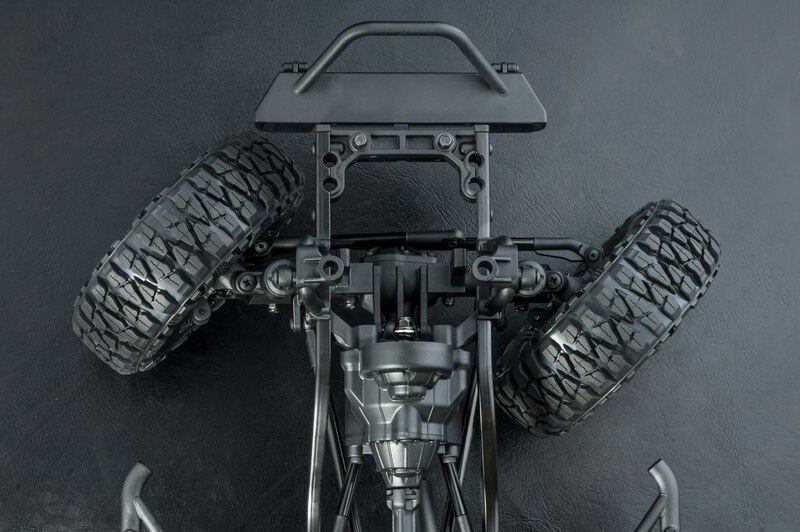 CFX is a high performance crawler comes with the realistic chassis. It is 1:10 scale and applicable to the general ABS realistic body shells. It has the great steering angle and the extreme smallest radius of gyration. 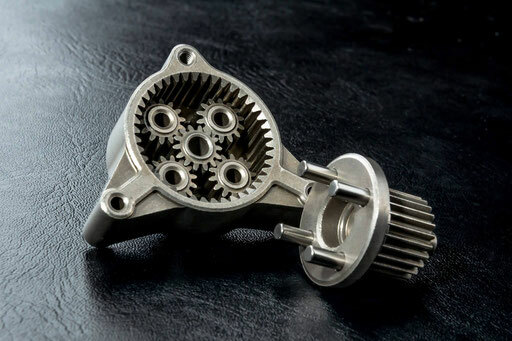 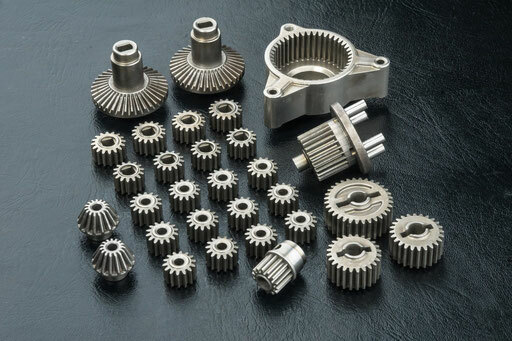 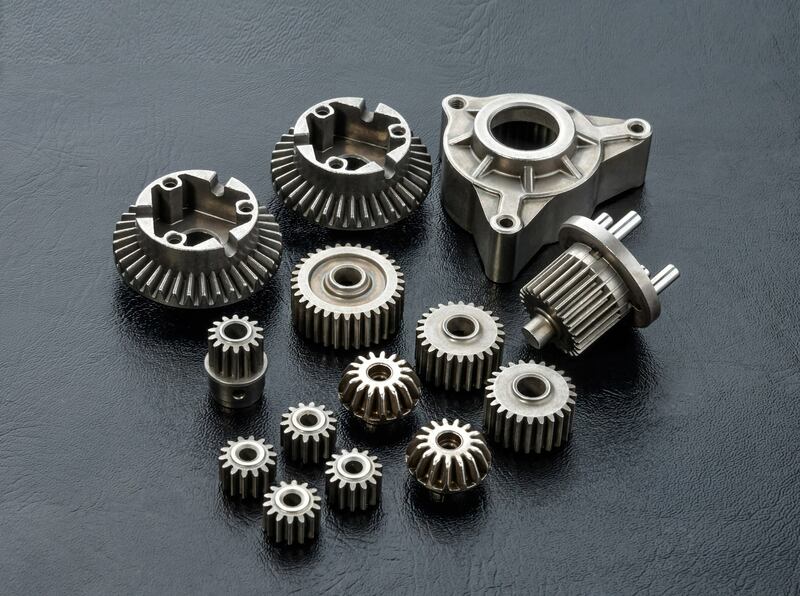 The planetary-gear box transmission set for the bigger deceleration ratio is greater refined than usual transmission structures. 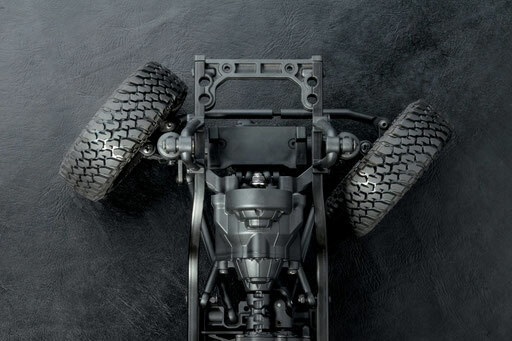 The front motor structure as real car keeps the space for personal preferring interior settings. 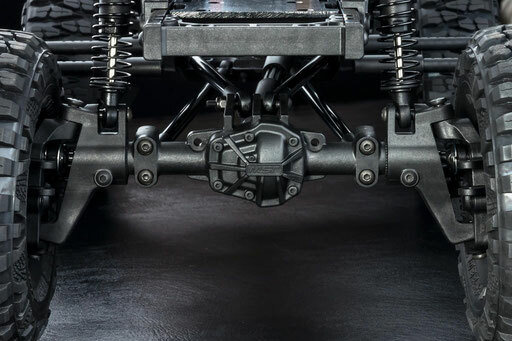 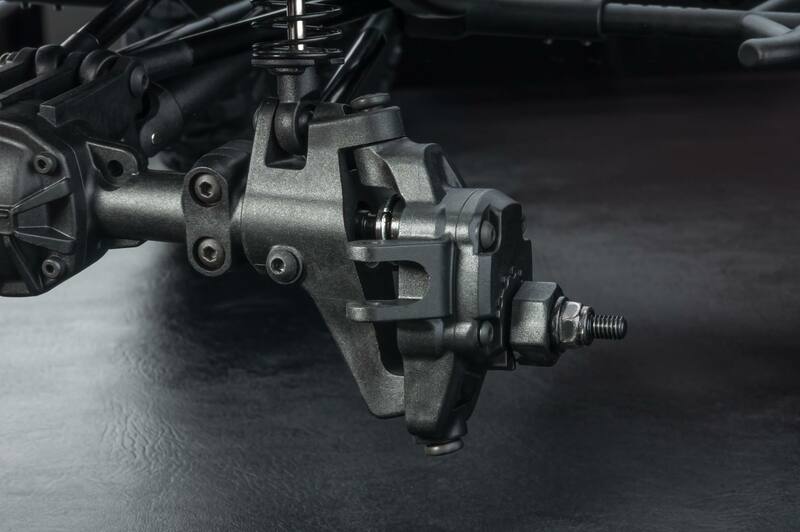 The steering servo at the vehicle axle helps to control the precise steering. 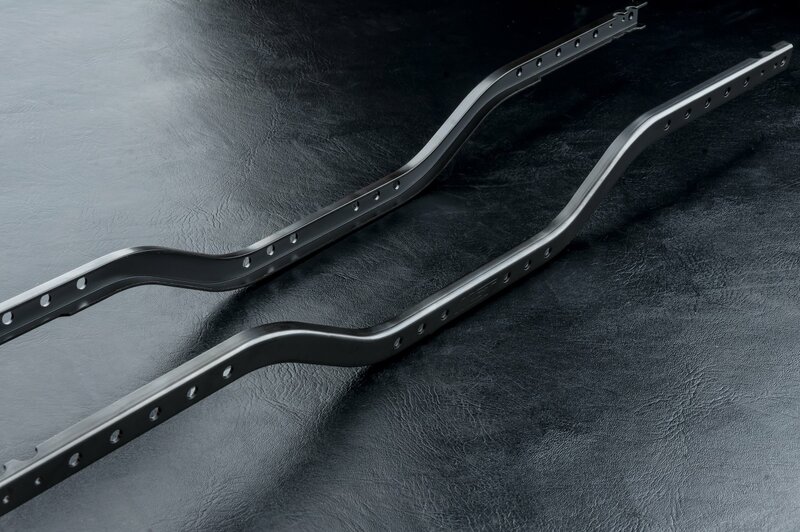 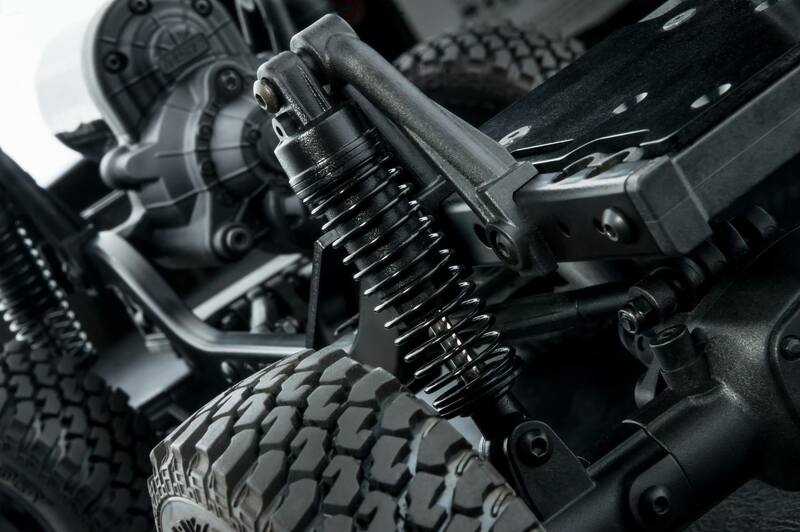 The damper oil consistence and the spring stiffness of the great hydraulic shock absorbers are adjustable for the best movements to the different car weights and terrains. 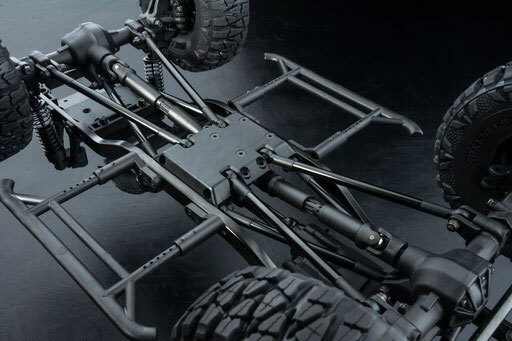 CFX-W is a high performance crawler comes with the realistic chassis. The full bearings and metal gears greatly improve the drive chain smoothness and durability. 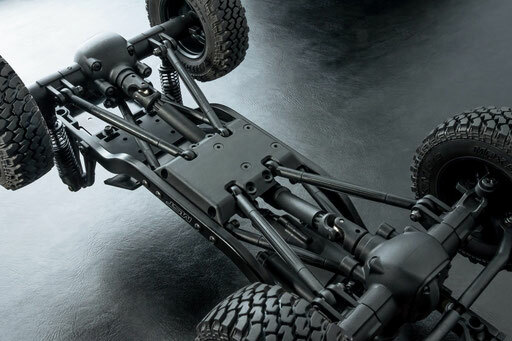 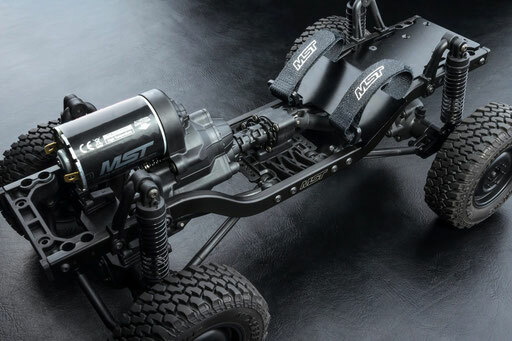 The whole new MPA-Axle, small bevel gear, portal-axle and greater steering angle, let the vehicle has the extreme exploring performance and smallest radius of gyration. 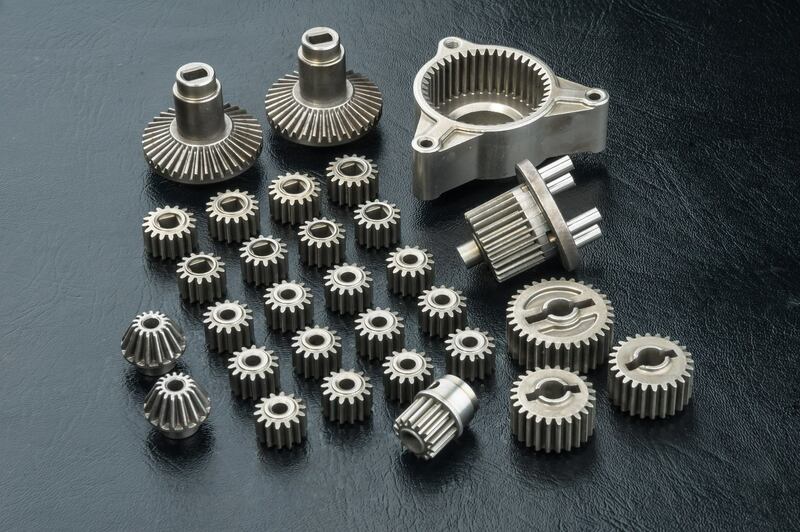 The transmission set of planetary-gear box is for the bigger deceleration ratio. 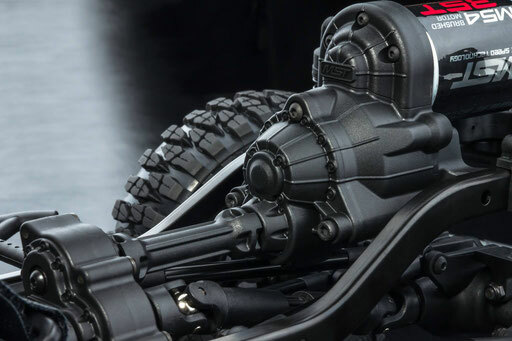 And the operation is greater refined than usual transmission structures. 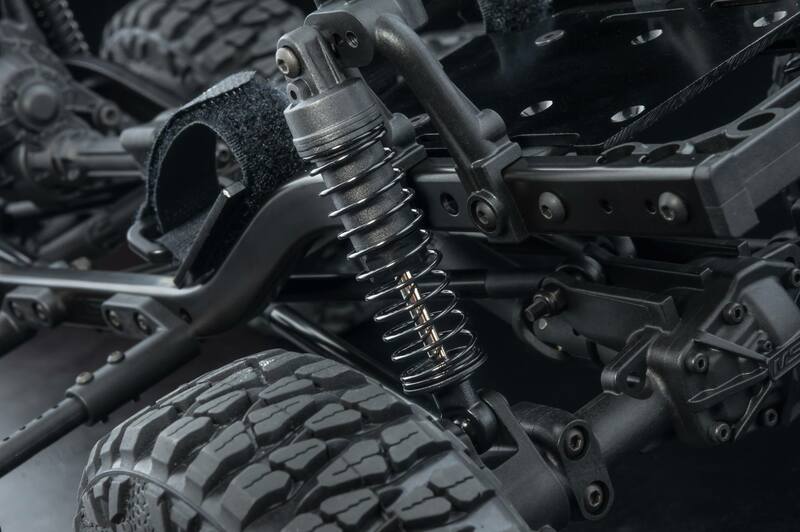 The damper oil consistence and spring stiffness of the great hydraulic shock absorbers are adjustable for the best movements to the different car weights and terrains. 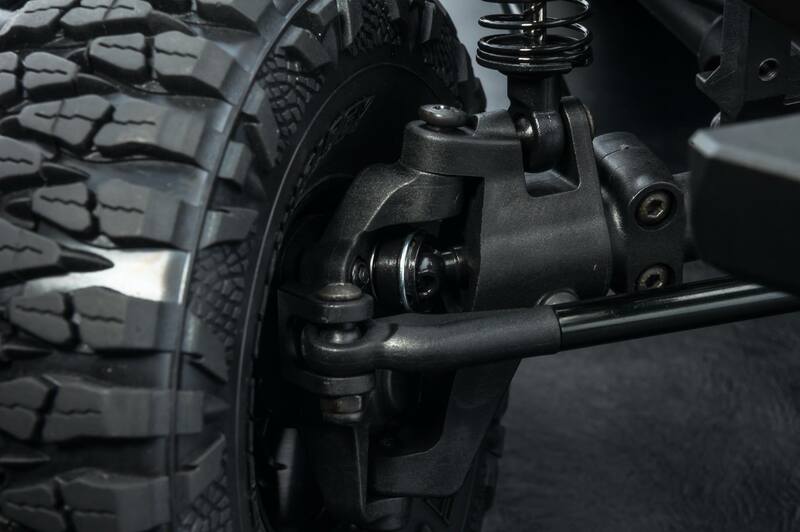 Kann mal Jemand erklären in wie fern sich die 3 Grad negativ Sturz positiv auf die Fahreigenschaften auswirken? 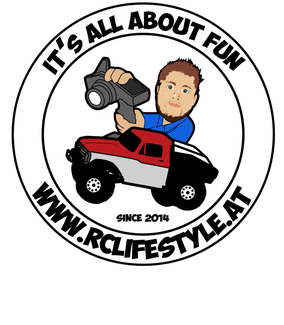 denn das sieht einfach nur schei..e aus bei Starrachsen. 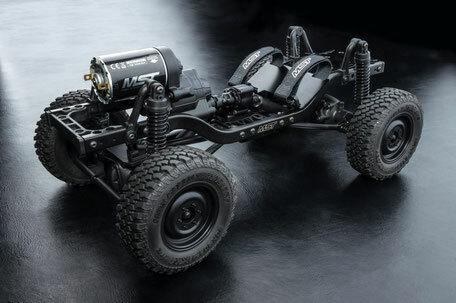 Hallo, ein negativer Sturz von Rädern bietet eine höhere maximale Seitenführungskraft in Kurven.